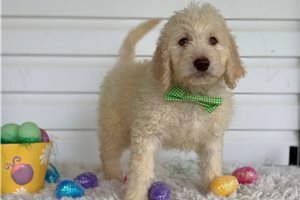 This Goldendoodle nicknamed Tan Male #4 sold and went to a new family. 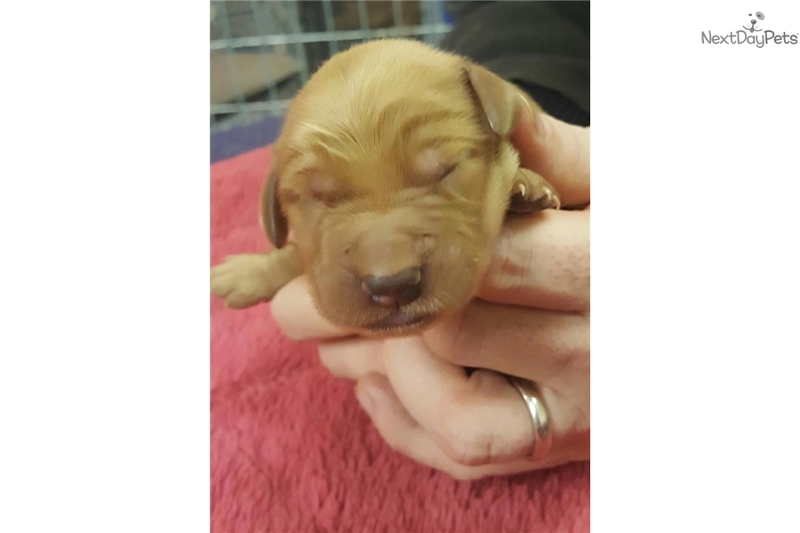 I am a Tan Goldendoodle male puppy. My dad (Buddy) is an AKC Golden Retriever. His OFA style hip check is good. 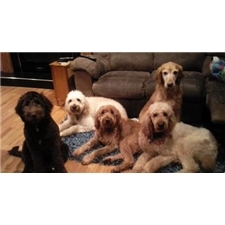 My mom (Corky) is a Tan F1B Goldendoodle with good bloodlines. I had my dew claws removed plus I will have my first set of shots and 2 deworming's before I go to my new forever home. I will grow up around other dogs, children and be handled a lot because my human mommy is a dog groomer. Call her and she will tell you all about me (716)725-1025.